New 2" Body Lift Style Steel Fan Shroud for 66-77 Ford Bronco. 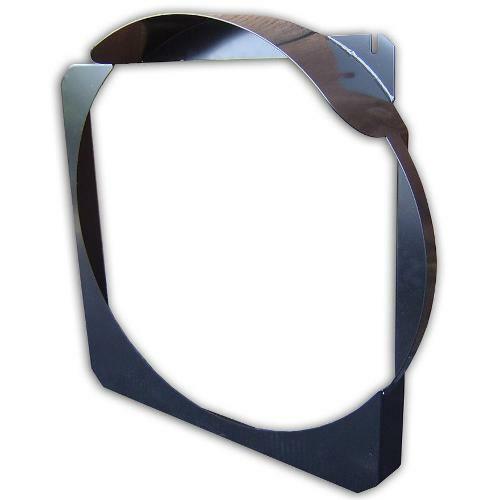 This fan shroud is designed for use on early Broncos with a 2 inch body lift running a V8 engine. 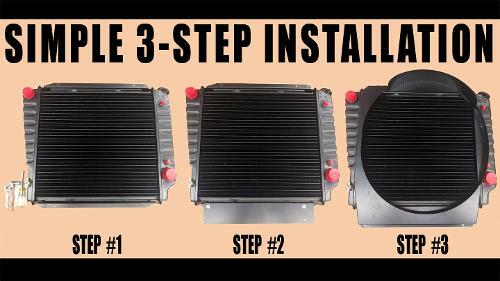 This new fan shroud is a must for the 66-77 Classic Ford Bronco. The fan shroud is made of metal, comes powder coated and won't crack like the original fiberglass shroud. Shroud is customized for the 2 body lift. Remember the fan shroud is crucial in cooling the engine by helping direct the air being pulled through the cooling fins in the radiator core. Without the shroud the air is not directly pulled through the core and loss of cooling is a factor. The shroud is also an important safety feature, protecting you from the fan blades when the engine is running. Please note that this is for a body lifted Bronco. If you have a suspension lift, but no body lift please use our stock fan shroud. The reason for a body lift specific fan shroud is because the radiator is mounted on the body and the engine & fan are mounted to the frame. So when you separate the body and chassis with a body lift, it pushes the radiator and shroud upward causing the fan to drop in relation to the fan shroud opening.